Change occurs whether we like it or not. When we step back and take a true look at our world, it is not a static picture that we see. Instead, we see a world that is ever-evolving and in constant motion; and unless we learn to evolve with it, we will become isolated from progress like an artifact frozen in time. One of the keys to managing emotional health lies within our ability to accept change – acceptance of the fact that change HAS occurred, and that change WILL occur. Inability to accept the inevitability of change often leads to an emotionally challenging existence because the world stops for no one and change will occur with our without our endorsement. Therefore, it is better to find a way to embrace change than to resist it. From ancient times, bamboo has been regarded as a symbol of longevity and resilience – and certainly for good reason. It stays evergreen throughout the four seasons, even during harsh winter months. Additionally, it is known for its ability to bend without breaking, resiliently swaying with the changing direction of the winds. In fact, bamboo is so resilient that researchers and engineers have long had an interest in designing earthquake-resistant bamboo structures, which positively utilizes its natural resilience (read about it here). 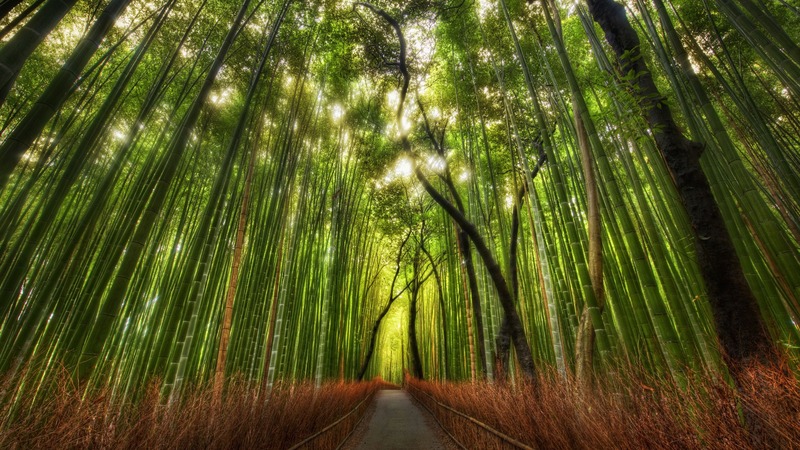 Like the bamboo, we have the options to either bend with change, or to be broken by it and left behind. Although change is an inevitable part of life, people who who are resistant tend to view change as a stressor. Therefore, it is important to consider the benefits of human resilience. Resilience, the ability to bounce back from a stressor, is considered a psychological protective factor that can decrease adjustment problems and increase positive change when coping with stressful situations. Research indicates that reappraising and viewing an event in a more positive light, along with having a sense of being capable of handling stressful situations, can boost personal resilience. Furthermore, studies indicate that people with higher levels of resilience find it easier to regulate negative emotions while under stress. In general, these studies suggest that focusing on the positive aspects of change can minimize the stress-response, and help individuals to develop higher levels of resilience. When change occurs, we are challenged not only to adapt, but to learn how to thrive under the new conditions. Researchers indicate that thriving is evidenced by the development of a higher level of adaptive functioning than was present prior to a stressor’s occurrence, and indicates that stress-related growth has occurred. Therefore, resistance to change can lead to stagnation by the simple fact that we deprive ourselves of opportunities for personal growth. Embracing change is about staying in the “here and now.” When we refuse to accept change, we are expressing a desire to remain in an idealized past that no longer exists, and an obstinate rejection of an inevitable unfolding reality. Essentially, as situations change, we face a changed reality that we must find a way to accept. Otherwise, we run the risk of living in the past, under conditions that no longer exist. Our surrounding natural world is constantly moving; nothing stays the same. We see evidence of this as we observe natural life cycles, the changing of seasons, rising and setting of the sun, and the changing landscape of the earth’s surface. And, as part of that natural world, humans certainly are not exempt. We change on a moment-to-moment basis as we learn through new experiences and progress though the human life cycle. As with the physical universe, intangible beliefs and ideas are also affected by change. New discoveries will challenge our accepted ideas, which could possibly lead to shifts in our personal worldview. Of course there are those inner truths to which we will hold steadfast. However, we shouldn’t be so rigid that we hinder personal development. The universe provides unequivocal evidence of the fact that change is natural – and inevitable. Therefore, we are compelled to acknowledge this fact and to accept as part of our life plan. I can’t think of a better way to illustrate the constant motion of our universe than through the art of time-lapse cinematography. As you watch film “Mountain Light” by Tom Lowe, consider the inevitable nature of change and how our resistance to it is truly futile. How do you normally react to change? Do you see distress – or opportunity? To see more award-winning time-lapse photography from Tom Lowe, visit Timescapes.org.